Ted is an adorable cat who’s been a good boy this year. So, of course, his human grandmother sent him a lovely Christmas present via the British post office, addressed personally to Ted. Ted has a hard time fitting a trip to the post office in his busy schedule, so his human mother, Brittany, went to pick up the package for him. There was only one problem. You need to present identification to pick up a package from the post office. Ted, being a cat, neglected to file the proper paperwork for a government issued ID. 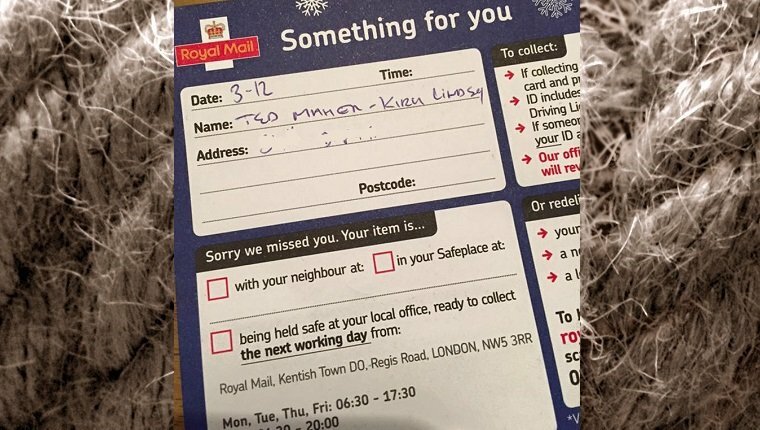 Brittany called her local London post office and learned the horrible truth. The post office was under no obligation to give her the package without proper identification from Ted, who, again, is a cat. But they suggested that Brittany go in and explain the situation to the workers. So she did just that. When the postal workers understood that Ted was a cat and that they were about to be the Grinch to his feline Christmas, they were more than willing to give Brittany the package. They were a little disappointed that Ted didn’t come in to get the package himself. Brittany explained that Ted has feline immunodeficiency virus and can’t leave the house. Also, he’s a cat. Ted’s Christmas was saved. His gift? A cat advent calendar filled with cat treats. He’s very happy to have the whole situation resolved. What do you think? Was Ted irresponsible for not having an ID? 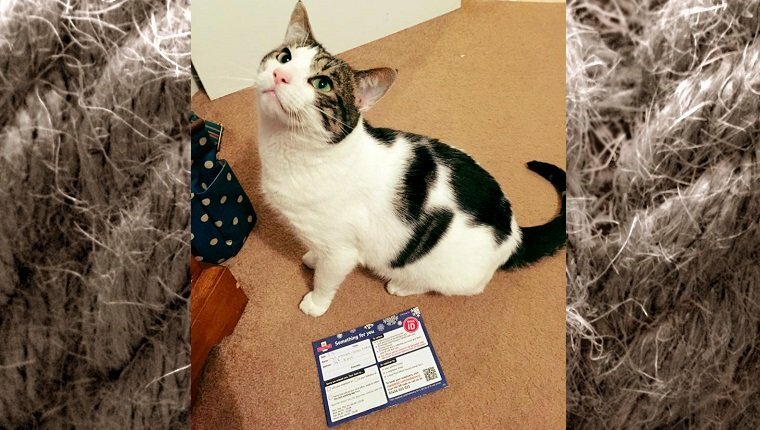 Does your cat get any lovely packages in the mail? Let us know in the comments.